Join us this week as we welcome rock music singer songwriter, G William Boyd. 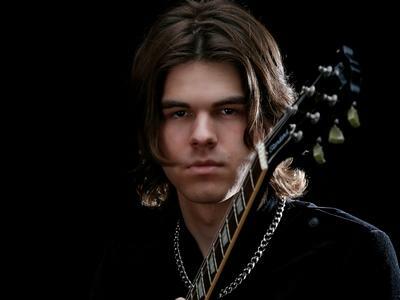 Hailing from Dallas, TX., G is a melodic rock musician with a cool "bit of metal". has a consistently growing fan base and his newly released music is already enjoying significant radio and chart success worldwide. Around age 10, G started listening to rock music from great bands like Metallica, Guns N' Roses, and Led Zeppelin. It wasn't long before he started playing the guitar. The bands he looks up to are not just heavy, but original. Nobody sounds like them, and that's what makes their music great. Once G began modeling his songwriting after bands like this, he discovered the true power of heartfelt writing, and an original style. With the addition of singing, he discovered an artistic voice that made sense, and his musical journey began. His debut E.P. "Different", released in February 2013, showcases the masterful guitar playing and melodic vocals that are his signature and includes the wildly popular song "Rolling the Dice". Combining melodic songwriting with hard riffing, it's pure, against the grain, American heavy metal at it's finest. Rock is an ever-changing genre, and one look at G William Boyd, you may be witnessing the next trailblazer sooner than you think. We will talk to G about his upcoming schedule, get a behind the scenes look at his music, feature his latest songs, and ask him to share his message for the troops. Please be sure to visit G William Boyd at http://www.gwilliamboyd.com/ and spread the word. Fans are welcome to call in and speak live with G during the show (718) 766-4193 If you would like to participate in the live chat during the show, you must sign up on the blogtalkradio site first and then log in during the show. Join us, 7/28/2013 at 4 PM EDT! Our message to the troops....WE do what we do, because YOU do what you do.